Join David Walters Yachts and Hylas Yachts at the IYBA Broker's Open House for a tour of the new Hylas M44 Power Yacht! The open house is from 3:30 PM until 7:30 PM at the Bahia Mar Yachting Center in Fort Lauderdale, Florida. 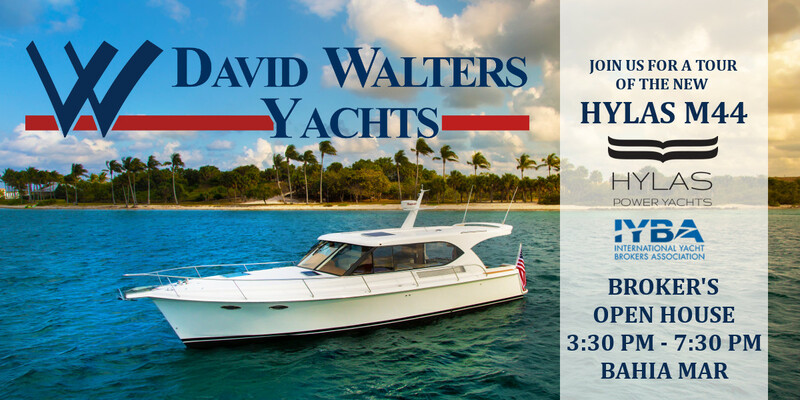 Contact sales@davidwaltersyachts.com or call (954) 527-0664 for details or to schedule a private showing. All brokers and their prospective clients are welcome!